As a valuable member of our site we would appreciate your input in our important application and data integration study. We value your opinion and are interested in getting to know your challenges and upcoming initiatives. 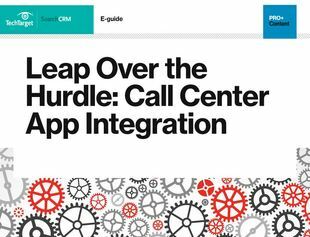 As a thank you for your help, we have created an expert guide Leap Over the Hurdle: Call Center App Integration to help you better serve your customer base. This guide will help you tap into how you can overcome common challenges in legacy app integration so that your call center is ready for the constant flood of incoming data.